Ten years ago, the U.S. economy was reeling from financial catastrophe. Unemployment skyrocketed as millions of Americans found themselves with underwater mortgages and retirements erased. But for Corvette fans, 2009 marked the return of an icon—the Chevrolet Corvette ZR1. In all the doom-and-gloom news reporting of the time, General Motors made waves with the 2009 ZR1—a 638-horsepower American supercar. New, a 2009 Corvette ZR1 cost just over six figures—a lot of money for the time considering the number of Americans out of work. But that was 10 years ago. Today, the 2009 Corvette ZR1 is but a blip on General Motors’ road to financial recovery, but now a pristine example is now for sale on BringATrailer.com. 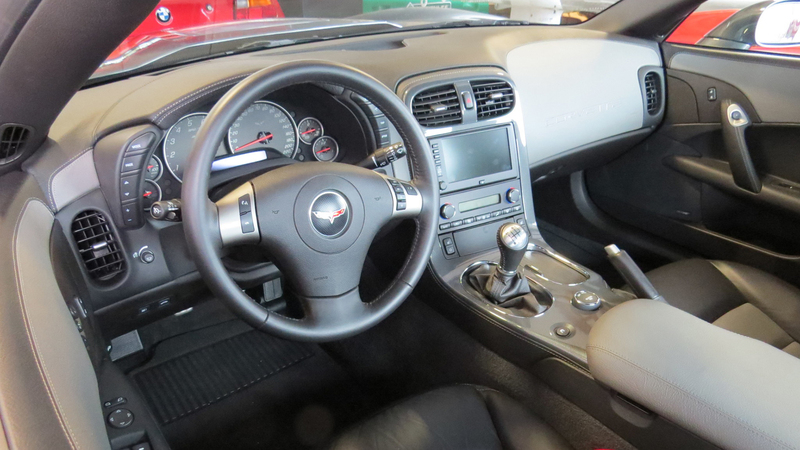 The 2009 Chevrolet Corvette ZR1 for sale has just 400 miles clocked on the odometer. Cyber Gray Metallic paint wraps around the outside. Inside, passengers are met with a Dark Titanium leather interior. The original owner kept the car through 2018, picking a vehicle that came with the $10,000 Premium Equipment Group package. That’s not the most impressive perk of the vehicle. It’s the standard features that get us excited. Under the hood is supercharged 6.2-liter LS9 V8 paired with a six-speed manual rear transaxle. The engine makes 638 hp and 608 pound-feet of torque. The Chevrolet Corvette ZR1 features wide 19-inch-by-10-inch front wheels and massive 20-by-12-inch rear wheels, which are wrapped in Michelin Pilot Super Sport rubber. Brembo carbon ceramic brakes and blue calipers provide stopping power while magnetic ride dampers offer various levels of suspension comfort depending on the needs of the driver. As of this writing, the Chevrolet Corvette ZR1 is up for sale for another six days with the current bid sitting at an astonishingly affordable $44,750. That’s cheaper than a brand new 2019 Chevrolet Corvette Stingray. Granted, that price will likely increase as the auction gets closer to its conclusion. However, maybe someone will score a killer deal. Happy bidding.